The world we live in today is constantly evolving and the future is uncertain. Deep learning at Clearview focuses on the competencies required to be successful in the future. Deep learning is all about engaging students in meaningful ways and preparing them for an evolving society. Students are faced with a more challenging world where they will be rewarded for what they can do as opposed to what they know. 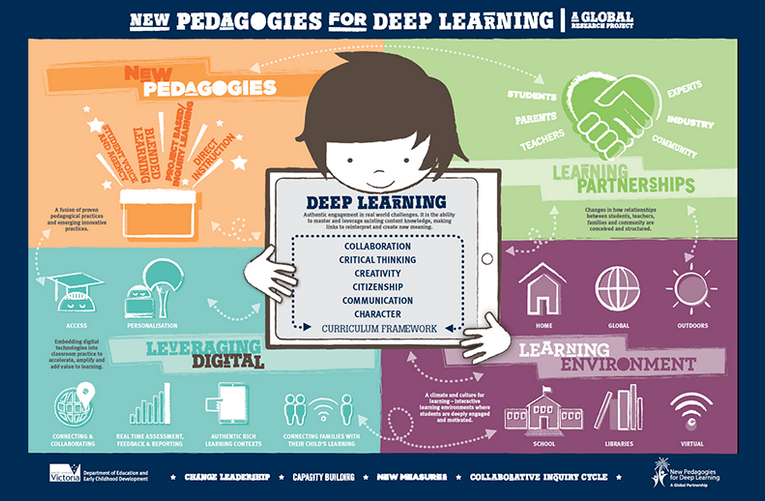 Through the New Pedagogies for Deep Learning framework, 6 learning competencies define what it means to be a deep learner. Based on Michael Fullan’s work, NPDL focuses on the six competencies that students need to achieve and excel in the our complex world. Here at Clearview we shared these competencies with our learning community and selected 6 C’s that are relevant to us and help us drive deep learning. The 6 Clear Competencies listed below also have our previous school values embedded in them.